Together, we’re writing our collective love letter to the city we call home. In 2008, a ragtag group of Muni riders started a blog about the funny, sweet, but often weird and gross stuff happening on the bus. More than 4,000 people submitted stories to Muni Diaries about bizarre yet wonderful encounters between strangers. One thing was clear: San Franciscans are deeply committed to living here, and you make the city what it is today. After nearly a decade of documenting stories that happen on Muni and the cultural cross-section of San Francisco that rides it, we opened our inbox to stories that happen on and off the rails. So let’s blow up the party talk and sound off with our different perspectives on city living. Diverse people and communities built this ever-evolving Victorian boomtown, and we can learn a lot from each other: whether we’re standing shoulder to shoulder on Muni, in the protest line, or at a bar. There’s no better time for all of us to explore what it means to be a San Franciscan—and what we can give back to the city that has given us so much. Who is San Francisco Diaries? You! You are the contributor, the diarist, and the documenter of city living for this new project we’re working on alongside our beloved first child, Muni Diaries. Help us document San Francisco life by emailing us your stories or tag us on Facebook, Instagram or Twitter. Podcast: iTunes, Google Play, or use this RSS link. Or just begin telling your Muni stories today. 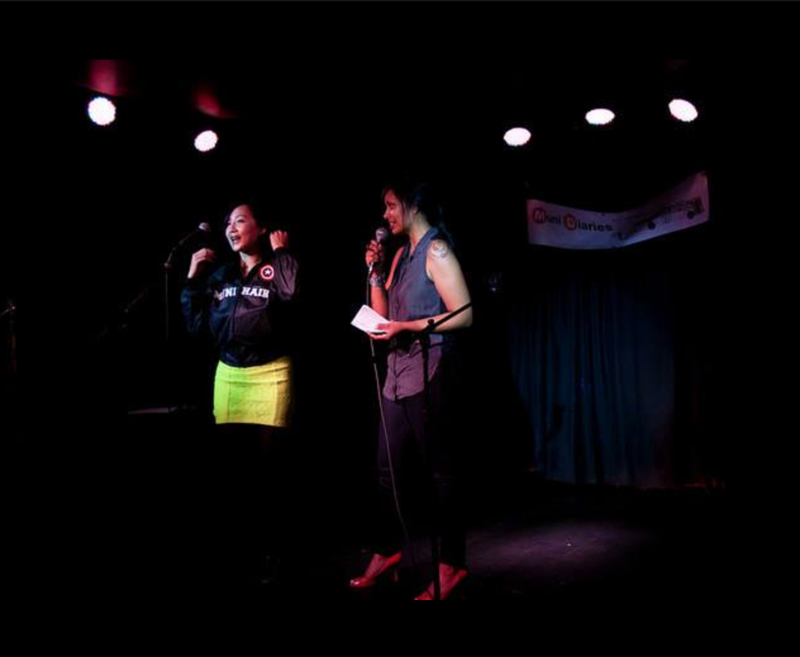 Check out our original project, Muni Diaries, making the local (and international!) news. Want to sponsor an event? Have a cool collaboration idea? Email us for a media kit and rates. We’re always looking for more ways to connect with our community. One of the co-founders of Muni Diaries, Eugenia spends her days and nights exploring the nooks and crannies of the internet for companies big and small. In a previous life, she had been a reporter and editor at New America Media and a some-time commentator for 91.7 KALW. 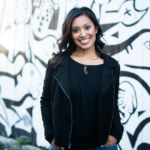 Her work has appeared in the San Francisco Chronicle, KQED, and San Francisco Magazine. When she’s not in front of a computer, you can find her busily wiping her hands with Purell and eavesdropping on the 47, 49, or 1. Tara is a writer, editor, and content marketing type who drew her first breaths at Mount Zion Hospital on Divis. Back when you could live here on a journalism salary, she reported for The San Francisco Examiner and the San Mateo County Times, priming her well for the Parks and Recreation-like quirks of local government. She digs travel, yoga, baseball, your pets, and Manhattans. 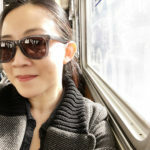 Having lived and worked in the Outer Richmond, The Mission, Fisherman’s Wharf, SoMa, and what she lovingly called Chinunionob, Tara has appeared on the 31, 14, 49, and the streetcar, among other illustrious lines. These days, A Trip Down Market Street isn’t just a quaint video, it’s her entire existence. Originally from eastern Oregon, Peter Clarke moved to San Francisco in 2010. His love for online content drew him to the Bay Area, with dreams of someday working for the now defunct network Revision3. Six years later he crossed paths with the Muni Diaries team, helping them produce their podcast. He enjoys throwing parties around the City on a weekly basis. Ranging from minimal techno, to funky soulful house music. MNML FUN features both established and upcoming performers. In his free time, Peter captures quirky moments on the streets of San Francisco with his trustworthy Canon AE-1. Craig joined Muni Diaries in the summer of 2012 to redesign the Muni Diaries website, as well as other promotional materials. 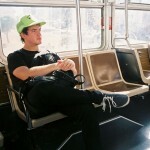 Craig lives in the Mission and relies entirely on Muni. Within three days of moving to San Francisco in 2007, he received a Muni ticket and found himself in court disputing it a week later. He received another ticket on his birthday, but it was thrown out by a very nice police officer. 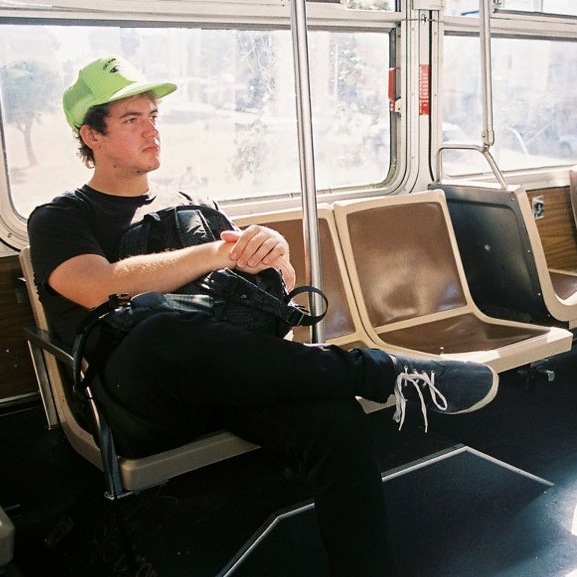 Now, his day job pays for his transportation and Craig rides Muni entirely legally. When he’s not busy designing, he can be seen playing rock and roll music, cooking nearly edible food at home, and never dancing. To see more of his work, and to inquire about projects, check out craigfowlerdesign.com. Logo and bus illustration in our masthead by Suzanne LaGasa and Jay Sacher. You do tremendous work, life would be dull were it not for MUNI & MUNI Diaries!